Heidi made the little town famous, but Maienfeld would have probably done just fine without her too. The village has become well known for producing the Maienfelder Beerliwein, a fruity red wine, in the vineyards surrounding the village. The excellent quality of the wine is based not only on the favorable climate, warm winds and a lot of sun, but also on the quality conscious work of the vintners. In the midst of these wineyards lies Salenegg Castle, a feudal mansion dating back to the year 950. The big estate has been producing wine since 1068, making it the oldest winery in all of Europe. Maienfeld is located in eastern Switzerland and the village can be reached from Zürich by train in roughly an hour. 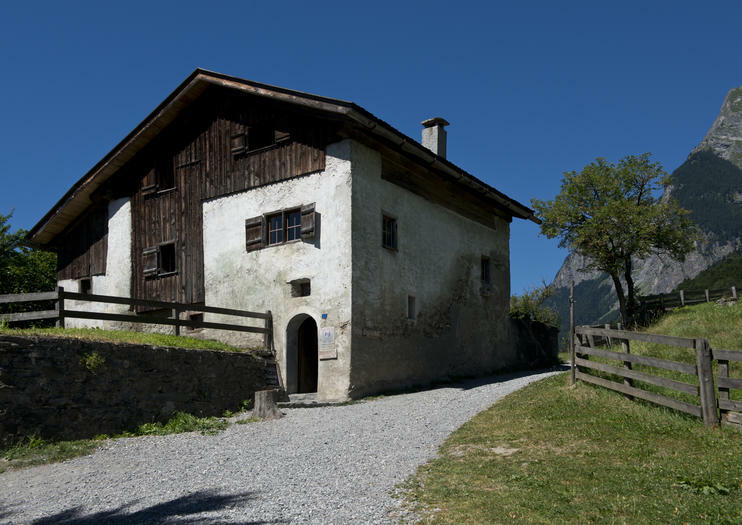 Heidi Village can be visited between the 15th of March and the 15th of November from 10am to 5pm. Combine a visit to the Heidi Village in Maienfeld with a one-way transfer from Interlaken to Zell am See. The day-long experience includes private minibus transport for a group of up to 13 people, plus a stop-off in Maienfeld to relive the beloved children’s story of 'Heidi.' Make the most of your free time to explore the Heidi Village, and take in idyllic Alpine scenery as you travel. Entrance fees are extra.